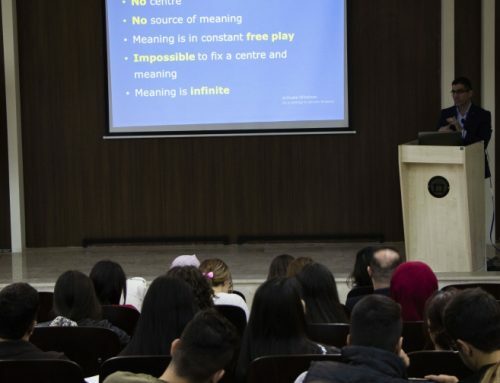 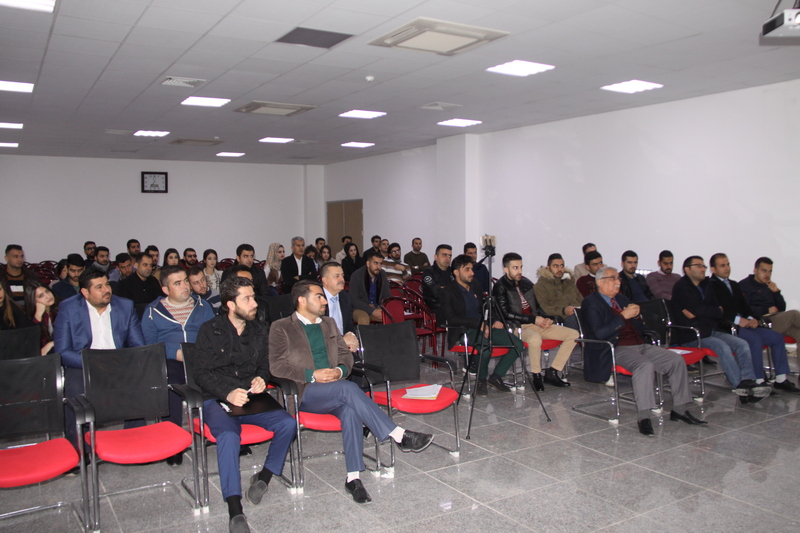 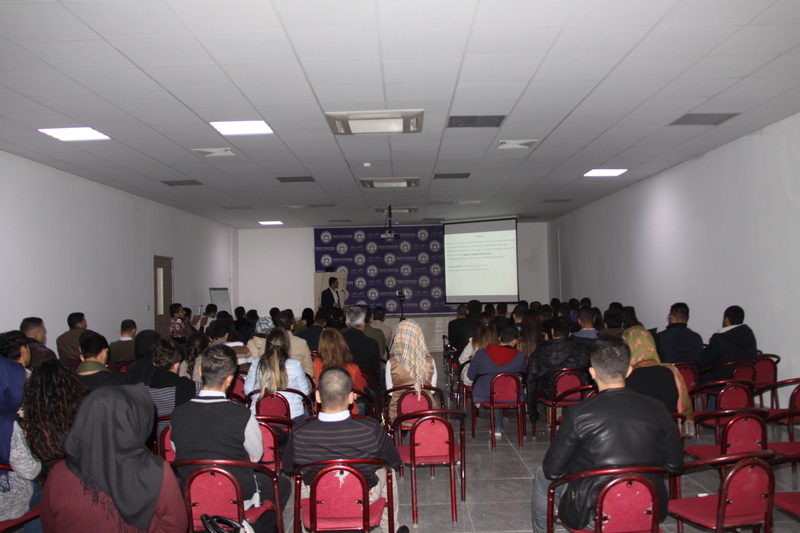 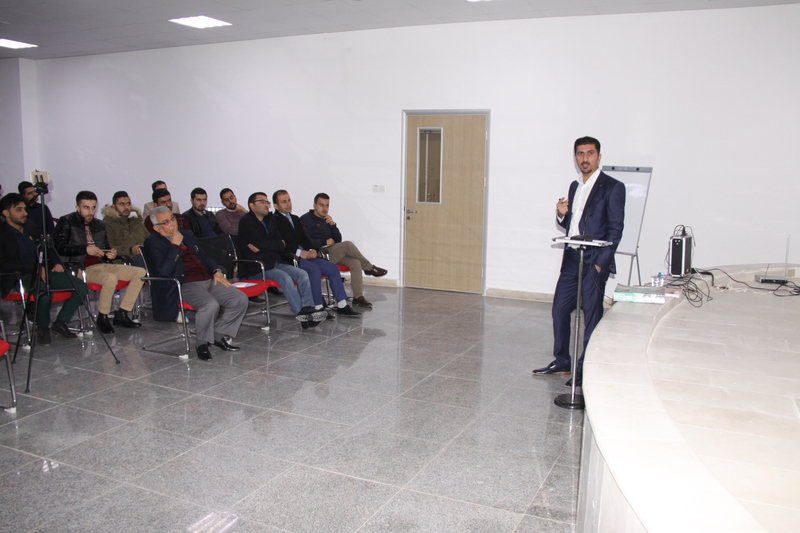 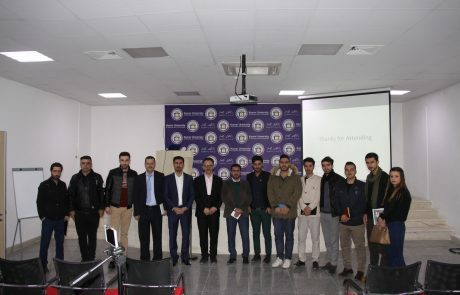 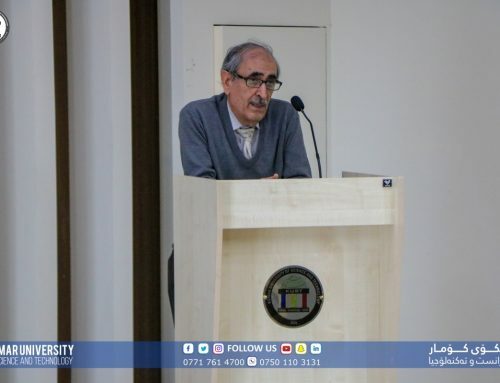 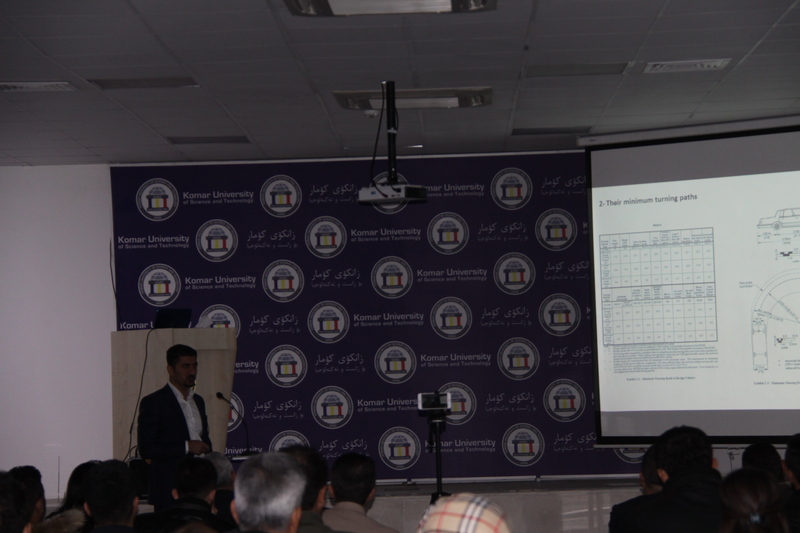 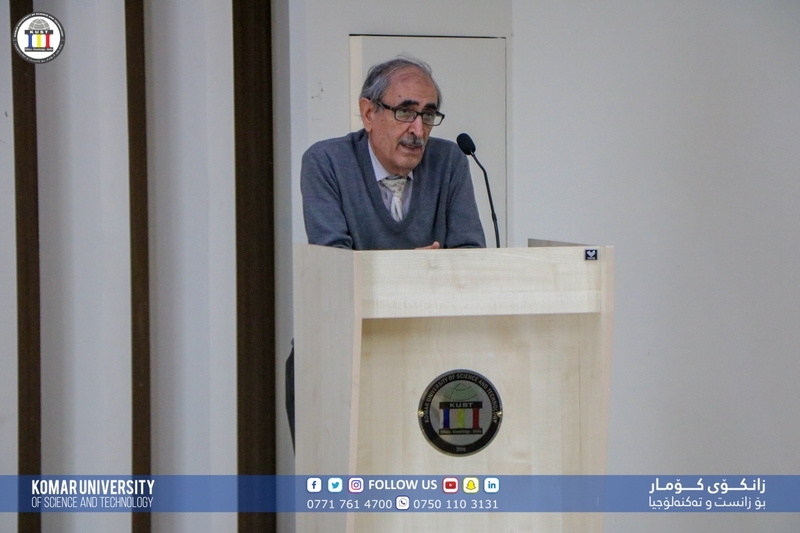 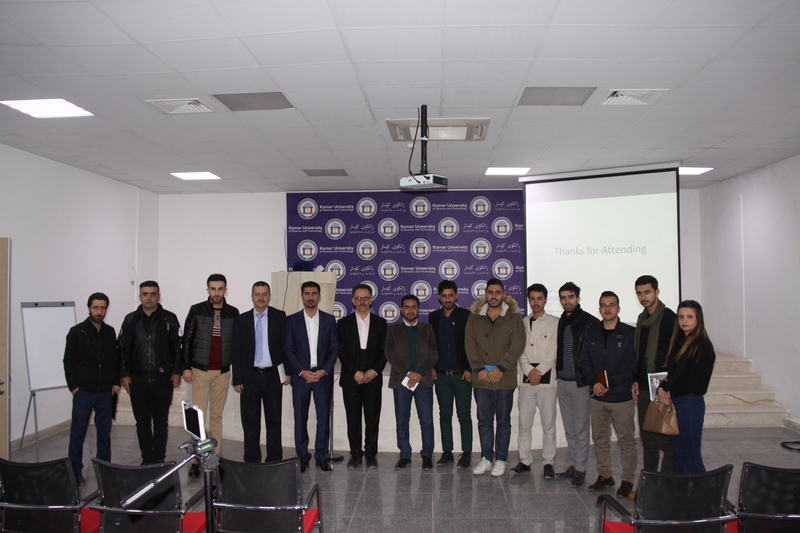 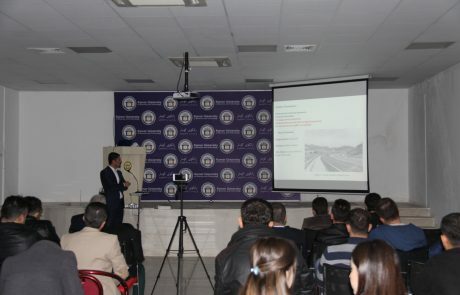 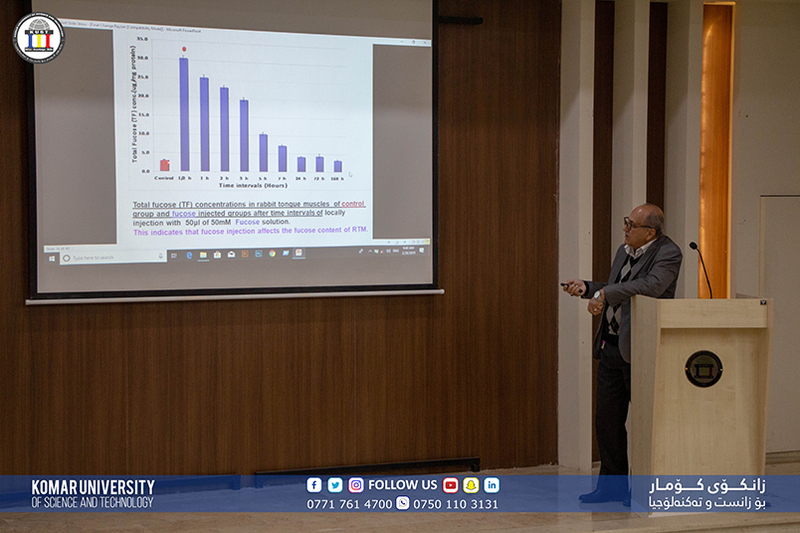 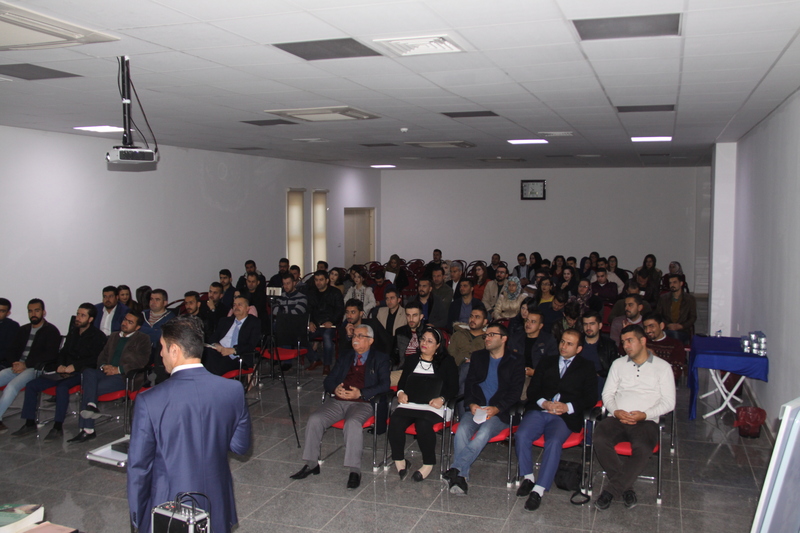 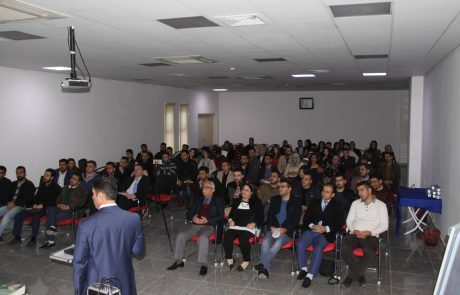 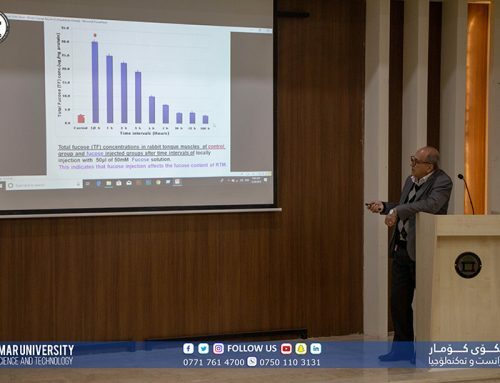 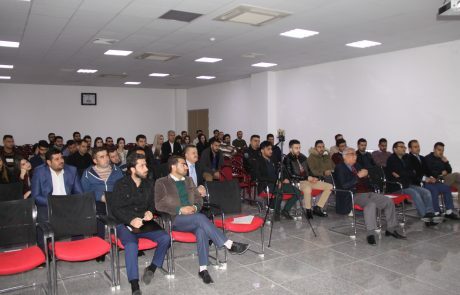 On Tuesday, December 13th, 2017, Komar Research Center and Civil Engineering Department organized a seminar for Mr. Ako Samad Kakamand. 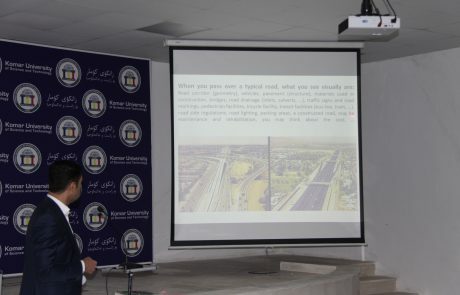 He is a senior engineer and a consultant engineer who is highly experienced and specialized in highway designs. 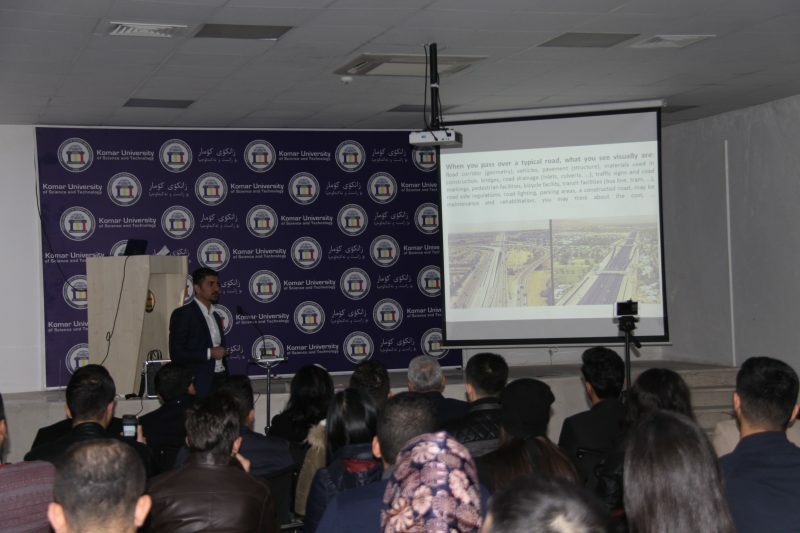 Mr. Ako seminar focused on the main points that the American Association of State Highway Officials (AASHTO) adopted in the design of highways. 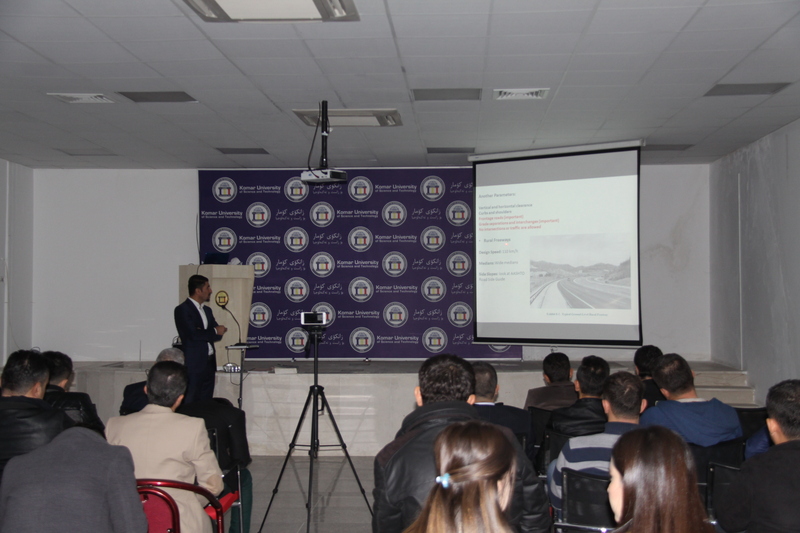 AASHTO has published more than 75 design code books regarding the highways and road design codes. 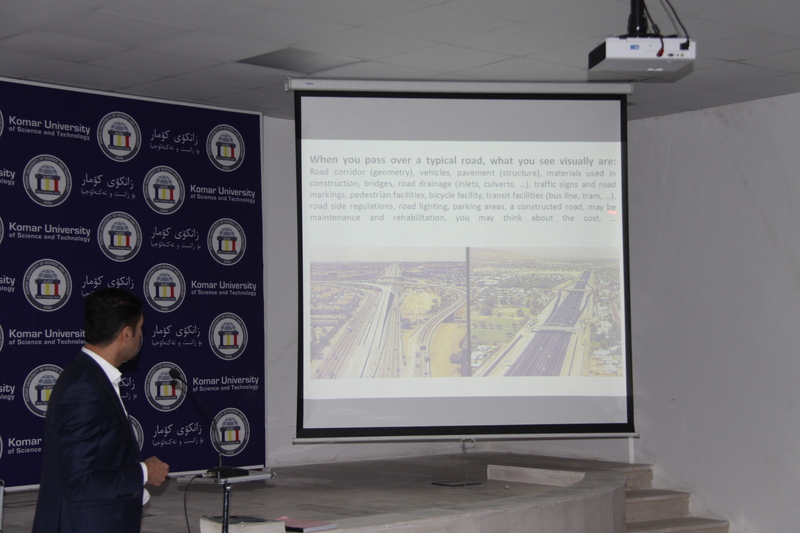 The seminar updated and equipped the students with skills on highways and road designs. 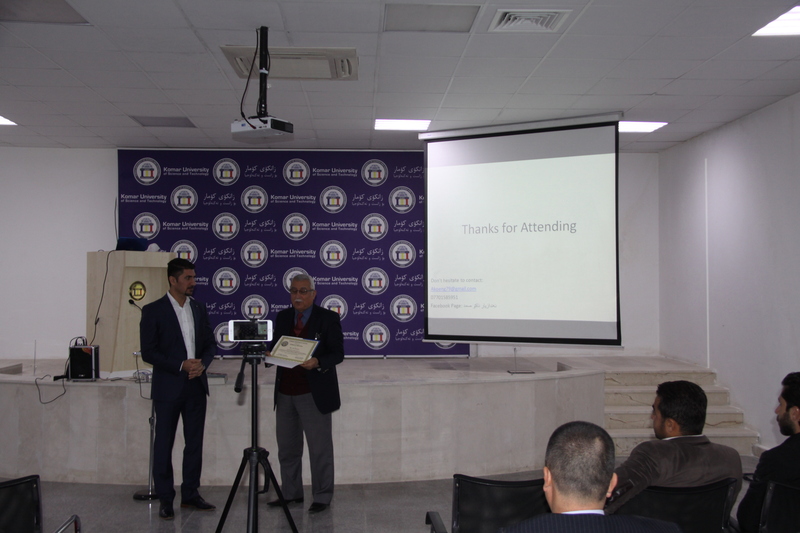 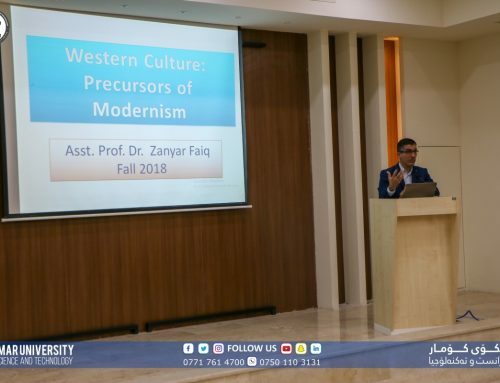 At the end of the seminar, Komar Research Center’s certificate of appreciation was presented to Mr. Ako by Prof. Dr. Jalal Saeed, VP of Academic Affairs. 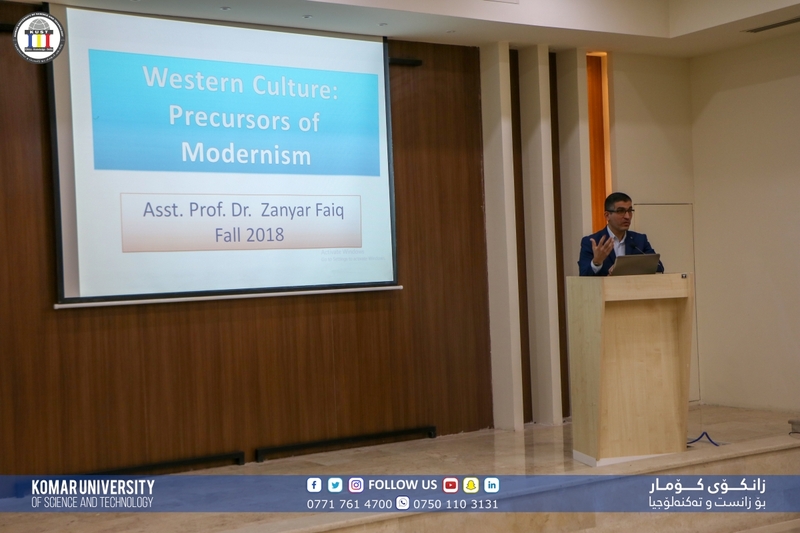 The seminar was recorded and can be watched HERE on Youtube.